U.S. Army Cpl (ret.) Pablo Mena cuts the ribbon to officially open the doors of the new UCLA Operation Mend intensive mental health program. Veterans suffering from mild traumatic brain injury and post-traumatic stress disorder — as well as their families — now have access to highly individualized, intensive treatment that draws on UCLA’s nationally recognized expertise in neurology, neurosurgery, psychiatry and integrative medicine. A new mental health program provided by UCLA Operation Mend is designed to heal the hidden, yet lingering, wounds of war. 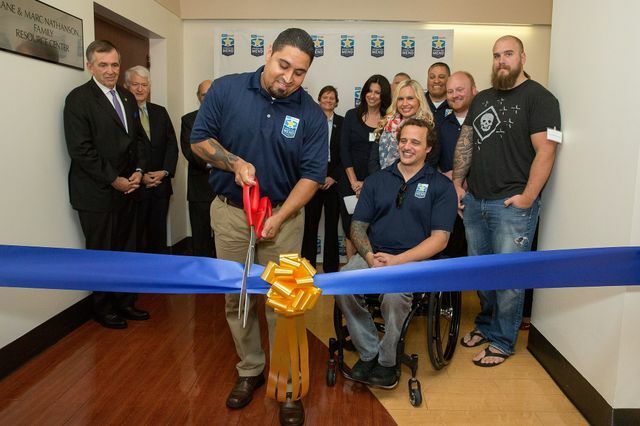 UCLA Operation Mend launched the program today with a ribbon-cutting at the UCLA Jane and Terry Semel Institute for Neuroscience and Human Behavior. The larger program has provided advanced surgical and medical treatment, as well as comprehensive psychological support, for post-9/11 veterans and their families since 2007. The expanded offerings are part of a new national network called Warrior Care Network, which is funded in part by Wounded Warrior Project. Among the hidden wounds of war are PTSD and traumatic brain injury. 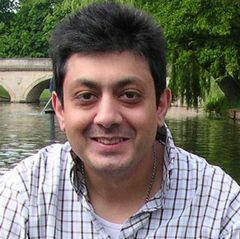 PTSD can develop in people who have seen or lived through a shocking or dangerous event, causing them to feel stressed or frightened long after the event itself. Traumatic brain injury can be caused by an object striking the head, a shock wave from the blast of an explosive device or an object piercing the skull and entering the brain tissue. The six-week program is designed for patients who require more than regular outpatient care. It takes a holistic approach and includes four main components: evidence-based treatment for psychological health, healing arts, wellness and community engagement. Prior to enrolling in Operation Mend, potential participants spend two to five days at UCLA consulting with specialists from various disciplines to ensure that the program will address their needs. Once the program begins, the veteran and family spend three weeks at UCLA receiving cognitive training for challenges related to symptoms of mild traumatic brain injury. The patient also undergoes one-on-one cognitive processing therapy sessions for post-traumatic stress that address war-related psychological trauma and symptoms related to challenges with memory and concentration. In addition, the patient and family take wellness programs including psychotherapy in which people interact with horses, qi gong (an ancient Chinese practice focused on breathing and movement), acupuncture, acupressure and meditation. They also participate in healing arts therapy, life tools sessions, social activities and more. After three weeks, the patients and family members return home and continue their care by phone and over the internet for three more weeks. All care, travel and accommodations are arranged for and provided at no cost to the patients and family members. Four patients and their families participated in a test of the new program in January and had overwhelmingly positive reactions. The program will welcome its next group of six to 10 patients and family members in May. “Through highly personalized care focused on the needs of each individual veteran, the Operation Mend expansion will advance the care of wounded veterans and, in doing so, potentially create new standards for the treatment of brain injuries,” said Dr. Thomas Strouse, professor of clinical psychiatry at the David Geffen School of Medicine at UCLA and medical director of the Resnick Neuropsychiatric Hospital at UCLA. 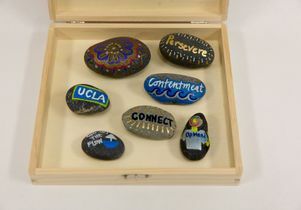 Volunteer Joyce Anderson and Ron Katz, a philanthropist and founder of UCLA Operation Mend, write messages of hope and inspiration on rocks for future patients. The expansion of Operation Mend’s services is part of a first-of-its-kind initiative called Warrior Care Network that connects wounded veterans and their families with world-class, individualized mental health care. The Warrior Care Network includes three other programs based at academic medical centers — the Veterans Program at Emory Healthcare in Atlanta, the Red Sox Foundation and Massachusetts General Hospital Home Base Program in Boston and the Road Home Program at Rush University Medical Center in Chicago.The expansion of Operation Mend’s services is part of a first-of-its-kind initiative called Warrior Care Network that connects wounded veterans and their families with world-class, individualized mental health care. Wounded Warrior Project and Warrior Care Network partners are committing a total of $100 million over three years to fund the initiative, including $7.5 million each that the medical centers will contribute through their own fundraising efforts. “As a veteran who served in Afghanistan, I have seen firsthand many of my military buddies and their families who are suffering as a result of these invisible wounds,” said retired Army Spc. Joey Paulk, an Operation Mend patient who underwent reconstructive surgeries for his physical injuries after surviving a blast from an improvised explosive device in 2007. 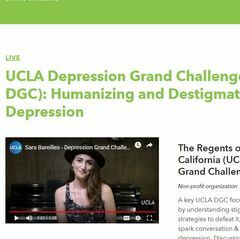 The new mental health program operates under UCLA’s Semel Institute. Service members or their family members interested in learning more about the program or any of the health care services offered through UCLA Operation Mend can visit www.operationmend.ucla.edu or call 310-267-2251. 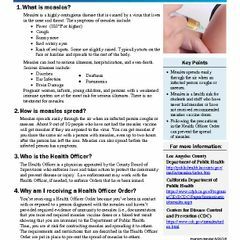 Operation Mend was established in 2007 as a groundbreaking partnership among UCLA Health, the U.S. military and the Department of Veterans Affairs. The program provides advanced surgical and medical treatment, as well as comprehensive psychological health support for post-9/11–era service members, veterans and their families. In 2010, Operation Mend began offering advanced diagnostics and treatment planning for patients with symptoms of mild traumatic brain injury and PTSD. Warrior Care Network is a groundbreaking collaboration between Wounded Warrior Project and its academic medical center partners, Emory Healthcare, Massachusetts General Hospital, Rush University Medical Center and UCLA Health, to create a nationwide, comprehensive care network that will enhance access and provide clinical and family centered treatment to warriors suffering from post-traumatic stress disorder, traumatic brain injury and other related conditions. WCN will offer specialized clinical services through either a regionalized outpatient program and/or an innovative intensive outpatient program. Through this cutting-edge initiative, WWP and its partners plan to serve thousands of wounded veterans and family members over the next three years. The mission of Wounded Warrior Project is to honor and empower Wounded Warriors. WWP’s purpose is to raise awareness and to enlist the public’s aid for the needs of injured service members, to help injured servicemen and women aid and assist each other, and to provide unique, direct programs and services to meet their needs. WWP is a national, nonpartisan organization headquartered in Jacksonville, Florida. The rocks carry messages of hope and inspiration for veterans in therapy at Operation Mend.